You see a map that demonstrates territory of Russia. map of Barysh 1 cm to 1 km download for free. interesting map of Zolino for you. actual map of Zhivaykino calibrated presented. detailed map of Zhedrino with gps calibration free download. topographic map of Zagarino with gps calibration for you. map of Yelkhovyy for Garmin. map of Yekaterinovka for you. detailed map of Vodoratskiye Vyselki и OziExplorer calibration for gps. topographic map of Vodoratsk with gps calibration for you. interesting map of Ul'yanovka calibrated here. interesting map of Surki calibrated here. 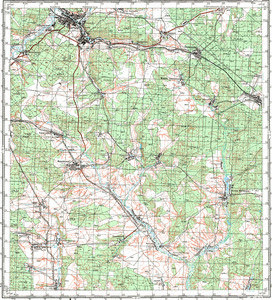 topographic map of Semirodniki и OziExplorer calibration for you. detailed map of Russkaya Temryazan' calibrated for Garmin. detailed map of Russkaya Bekshanka here. interesting map of Priozernyy calibrated for gps. free map of Polivanovo calibrated this. actual map of Osoka calibrated this.